This is my first real guitar. I receive it as a present when I was 16 (31 yeasr ago). I can say I was so happy I could not go anywhere for days and days. Only stay in the house playing it. Big fun. Sound great, fender style. The bridge pick up (original) is very powerful and bright. Posted in Electric GuitarsTagged 1981, fender, solid body, stratocaster, usaBookmark the permalink. 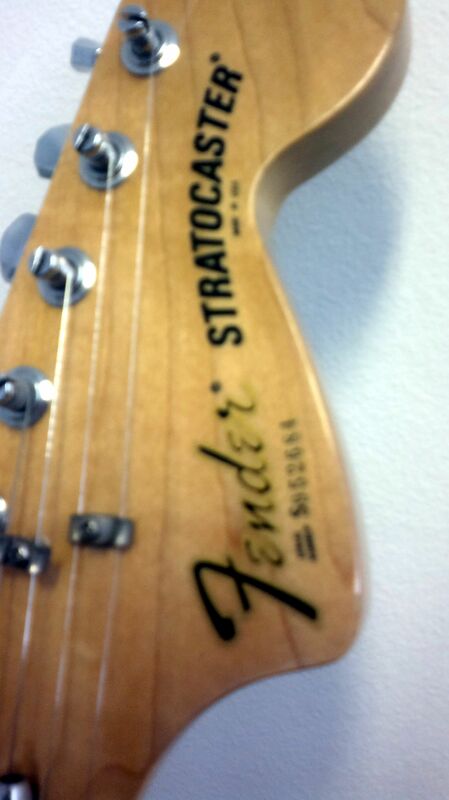 The serial number and large headstock on your guitar indicates that this is a 1979 strat…. Fender went back to useing the small headstocks in 1980 and started the serial numbers with an E lettering….. yours has a S9… indicating 1979….